East Northport, NY - April 17th, 2014 - Suffolk County Crime Stoppers and Suffolk County Police Second Squad detectives are seeking the public’s help to identify and locate the man who damaged cars at a gas station in East Northport on April 12, 2014. A man broke and/or cracked side view mirrors on four parked cars in the parking lot of Larkfield USA, located at 311 Larkfield Road, at approximately 3 a.m. The cars damaged were a 2006 BMW X3, 2003 Honda Civic, 1999 Toyota Camry and a 2003 Acura. 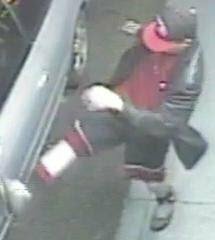 Subject: LongIsland.com - Your Name sent you Article details of "SCPD Crime Alert: Man Wanted for Vandalizing Cars Parked at East Northport Gas Station"